We were among millions deeply saddened to learn today that Seamus Heaney had passed away at age 74. Called the greatest Irish poet since Yeats, Heaney was not only a national treasure to his home country but to the global poetry community. The 1995 Nobel laureate worked in a rich bardic tradition that mined mythic language and imagery, Celtic and otherwise, to get at primeval human verities that transcend culture and nation. 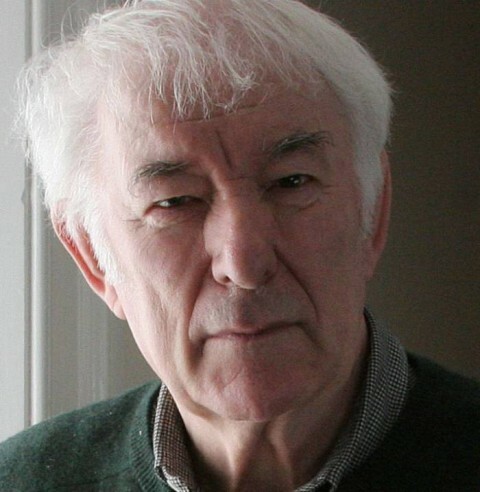 One prominent theme in Heaney’s work—connected to the Irish struggle, but accessible to anyone—is the persistence of tribalism and its damaging effects on future generations. In one of his darker poems, “Punishment,” one I’ve often taught to undergraduates, Heaney’s speaker implicates himself in the execution of a woman found buried in a bog many centuries later. In the last two stanzas, the speaker betrays empathy clothed in helpless recognition of the tribal violence and hypocrisy at the heart of all systems of justice. The theme of tribal violence and its consequences is central to the Old English poem Beowulf, which Heaney famously translated into a rich new idiom suited for a post-colonial age but still consonant with the distinctive poetic rhythms of its language. You can hear Heaney read his translation of Beowulf online. Above, we have the Prologue. (Apologies in advance for the irritating ad that precedes it.) The remainder of the reading appears on YouTube -- listen to Part 1 and Part 2. Plus find more of Heaney’s work at the Poetry Foundation. Finally, you can also listen to his Nobel lecture delivered on 7 December 1995. It was posted on YouTube today, and we thought it worth your while. It's presented in full below. Wonderful – and very timely as we (Waterford Living History Society) are practising Beowulf as a performance piece- where can I get more of Heaney’s reading? Is the audio-version anywhere where a registered student might gain access? Surely it’s time to at least consider if he was THE greatest Irish poet. I think he was, but I’m biased. I’m from Derry, went to his school, and his poems speak to me in a much more direct and visceral way than Yeats. Maybe if I came from Sligo, such a beautiful place, I might think differently….but I doubt that. Heaney lived his life as the towering figure of a national poet, with grace and humility that us lesser mortals struggle to muster. He was a gift from the ancient and modern gods to the world. Sadly, openculture.com, your Seamus Heaney rendition of Beowulf does no longer work, and I’m really wondering and hoping you can re-install this wonderful resource you have given to all of us?